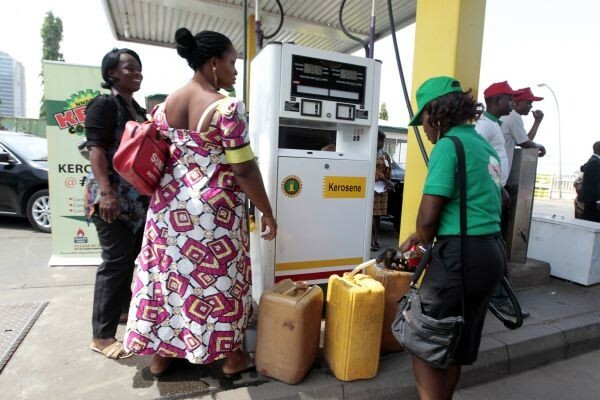 The management of the Nigeria National Petroleum Corporation, NNPC has commenced the sale of kerosene to residents of Ogun State, Southwest Nigeria at 50 Naira per litre. At an exercise monitored in Sagamu Local Government Area, residents commended the efforts of the Buhari led administration in keeping with his electioneering campaign promises. They however asked the management to the NNPC to ensure the continuity of the initiative to bring a new lease of life to the people. Kerosene a major component used for domestic cooking has in recent times been in short supply and has forced many women to seek alternative measures. Residents who seemed to be savoring this latest development however appealed to the federal government to ensure the continuation of the exercise which they said would go a long way in assuaging the suffering of residents.